UNIVERSITY PARK — In the previous 107 meetings between Lehigh and Penn State on the wrestling mats, the Nittany Lions have dominated the series with the Mountain Hawks. But what Penn State did Sunday in Rec Hall in running its series lead to 70-34-3 added new dimensions to its dominance. 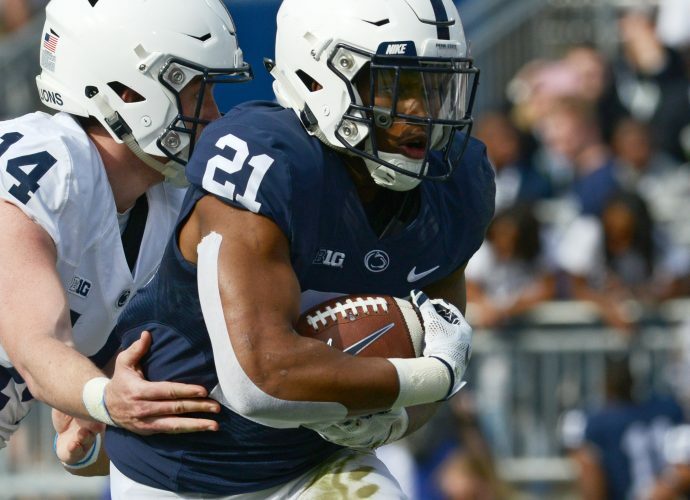 The Nittany Lions swept all 10 bouts in a 42-0 shutout of the No. 10 Mountain Hawks — the third time they’ve done such in series’ history. Only this time, it was the most lopsided of the three. Penn State had previously notched 33-0 (Dec. 7, 2007) and 39-0 (Feb. 13, 1993) whitewashes. In this one, Penn State amassed an unheard of 47-0 edge in takedowns. And while those numbers are awe-inspiring, the simple fact is Lehigh was missing six starters from its lineup. “We want to fight and compete, just keep wrestling. You’re wrestling for your fans, you’re still wrestling for your teammates. It’s hard. This is probably the lowest point we’ve had as a program, result oriented. We still have good kids. Nothing’s changed. We’re going to be a lot better in a month. We’re going to be a lot better in two months,” Lehigh coach Pat Santoro said. He went on admitting he’s never been part of a team that had suffered so many injuries to starters. Penn State stacked up two falls, a technical fall, four major decisions and three decisions. Nittany Lions coach Cael Sanderson acknowledged the fact that the Mountain Hawks weren’t even at half strength in not scoring a takedown. Top-ranked Bo Nickal used seven takedowns to fashion a 19-4 technical fall over No. 15 Jake Jakobsen to open the match. The, marquee matchup came next, at 285 pounds, where No. 5 Nittany Lion Anthony Cassar took on No. 6 Jordan Wood. Cassar started with an impressive double-leg takedown in which he picked up the heavier wood and deposited him on the mat for the first of five takedowns he would score on the day in a 12-3 major decision win. He admitted that opening takedown made a statement. Roman Bravo-Young (133), Nick Lee (141) and Shakur Rasheed (184) all rolled up major decisions. Devin Schnupp (125) and Jarod Verkleeren (149) earned decisions. Schnupp won his second in a row. Penn State returns to action at December 14 in Rec Hall when No. 16 Arizona State visits in a dual meet.